Ever wonder what those bumps on the roof of a Mitsubishi Evo are? Those are for going fast, of course, making the car more aerodynamic at speed. So why would you buy those same bumps on the aftermarket to improve your fuel economy? 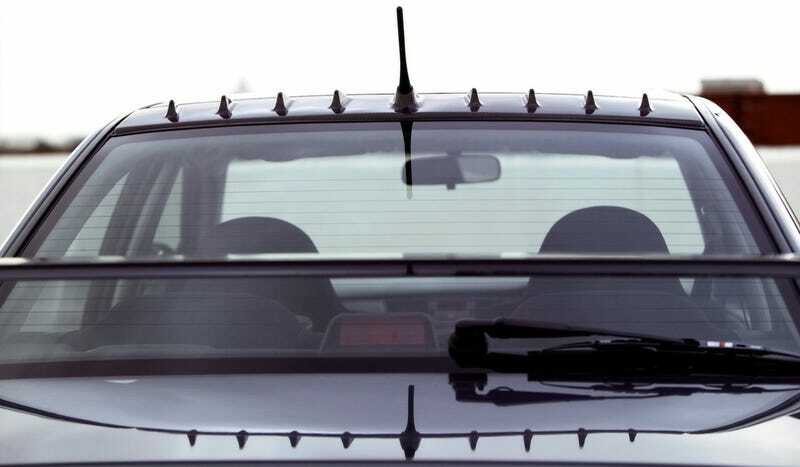 There's a company called Gas Pods that's selling a similar-looking technolgy with the idea that a row of these bumps on your car will cut your fuel consumption. Just attach them to the back of your car, magnetically or adhesively, about 4 or 5 inches apart from each other. A set of 9 costs between $105 and $125, but when has sticking add-ons to your car ever been cheap? According to Gas Pods' website, they say: "that when placed at select points on vehicles increase their aerodynamic efficiency." There's a lot of science and aerodynamics stuff that I'm sure an engineer can explain better, but the basics are that adding bumps to a flat surface actually reduces drag. It also has somethign to do with lobsters, as explained in this piece by Wired in an interview with co-founder and research director Bob Evans. Gas Pods already has a test team of drivers, with one woman who made her Mercedes 300CE look a little more like an Evo claiming she cut her fuel consumption by almost 18% on a run from Santa Barbara to Las Vegas, a distance of about 350 miles. So, here's the breakdown: If you own, say, a Lancer or a Subaru Impreza or something, you can buy a set of gas pods and say they're for making it go faster when you really know it's helping to save a couple bucks every time you get gas. If you own a Kia Spectra, well, you're probably still going to look like a cheapskate. Do you guys buy into the pod hype?